Hand colored patina makes unique shoes just for you. 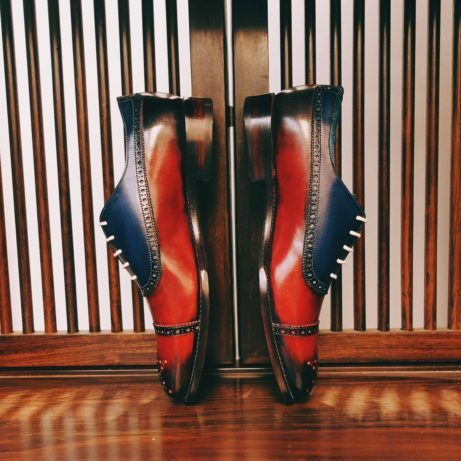 Hand colored patina on our men’s dress shoes puts you in the creative driving seat. You choose the colours. Your style is limited only by your imagination. Made to order shoes are lovingly hand crafted just for you. One of a kind creations and no two pairs are alike. We use a special kind of leather called crust leather. This leather has been traditionally tanned but has no color added. For made to order (MTO) shoes we use a premium calf crust leather from Sante Croce in Italy. The alcohol based dye colors from Italy are carefully applied by hand in one or more colours creating gentle and natural patina on the leather. 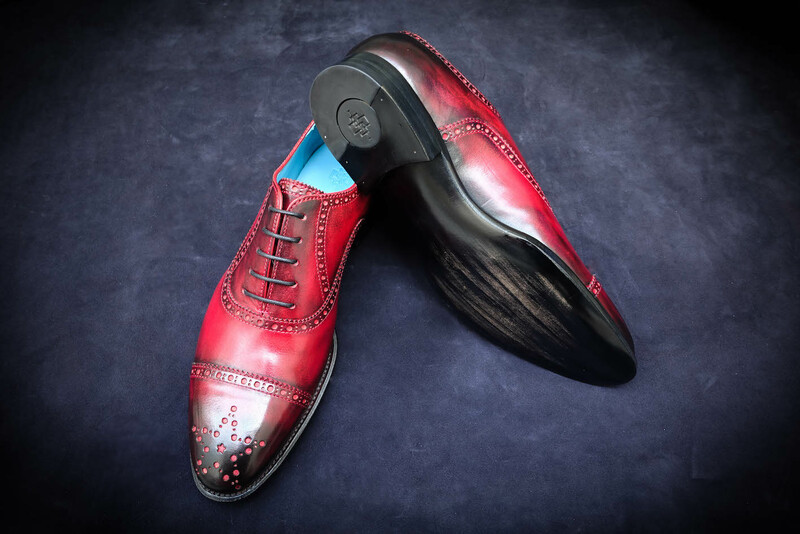 The final finishing touch is created by using Italian creams and waxes to out a lustrous shine on the uppers. Our hand colored patina made to order shoe collection comprises 25 styles. The sizing runs to 13 Euro sizes with an incredible 5 widths per size offered, so comfort is also assured. Worldwide shipping with Fed Ex. Contact us today for more information about styles, sizing, coloring and prices.